This post contains Amazon Affiliate Links. Metro Products provided me with free Attic Dek flooring in exchange for my honest review. 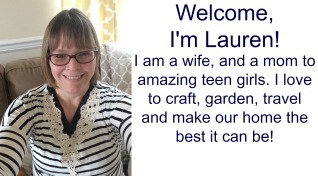 Today I am joining my blogging friends for the Pinterest Challenge Blog Hop. The hop challenges us not to just pin inspiring projects on Pinterest, but to actually complete them! My focus today is on my home’s attic. 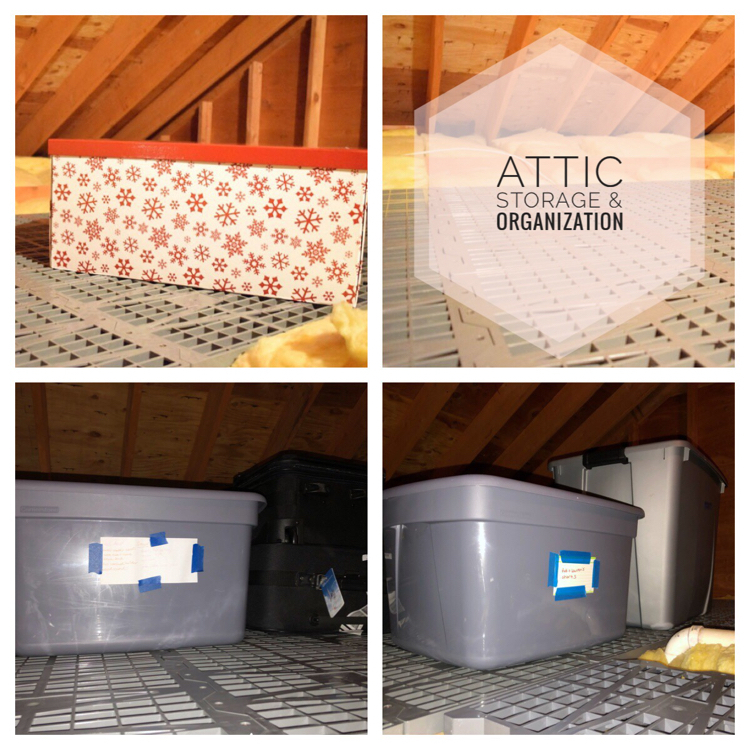 I’ve been looking into lots of ideas on Pinterest on how to store and organize household items in an attic! 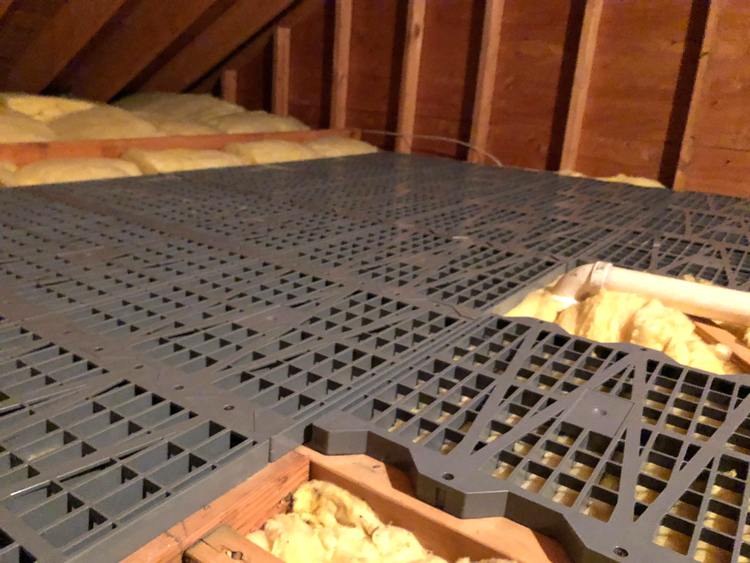 My husband and I recently added flooring to our home’s attic by installing some Attic Dek panels. The panels are lightweight, yet sturdy, are easy to install, and can hold plenty of weight. With the Attic Dek panels installed, we have plenty of attic storage! 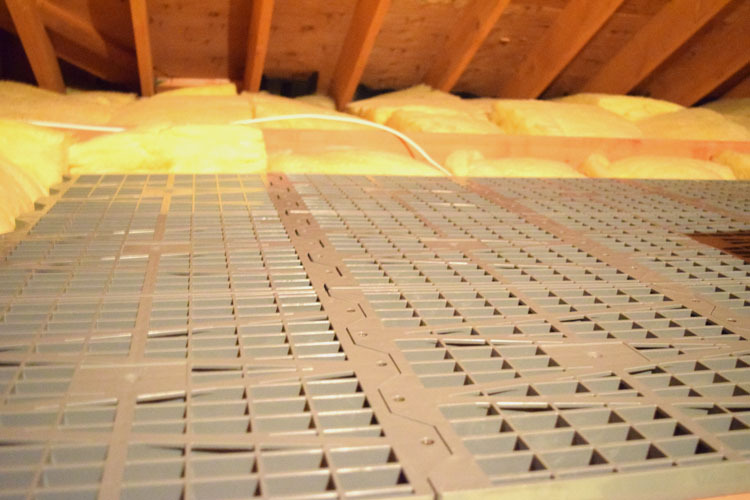 Attic Dek panels are lightweight plastic grids that are made to be installed in the unfinished area in an attic or over a garage. They come in two sizes: 16 inches by 16 inches , and 24 inches by 16 inches . The size you use depends on how the joists in your attic are spaced. The joists in my home’s attic are 16 inches apart generally, so we got the 16-inch-square panels. No tools or cutting are required to install the panels. You simply screw the panels into your attic’s joists. 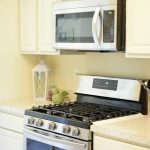 The panels are durable and can hold up to 250 pounds. They come with the screws and the instructions needed for installation. I’ve been slowing adding things to my home’s attic. I want to do it right and be able to find what I’ve stored up there. So, I’ve been following attic storage tips I’ve found online. The pin that most inspired me for this post is one shared by Ashley of 7th House on the Left in a guest post on iheartorganizing. Ashley has a super organized system of labeling the contents in her attic and has created beautiful DIY labels for her attic bins. Now that we have attic storage, I don’t want to just throw things up there willy nilly. That’s a really easy way to lose stuff! 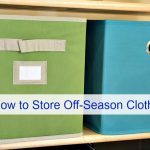 1- Use Well-Labeled Plastic Storage Bins – To best preserve and store items in the attic, I think it’s best to use airtight plastic storage bins. These bins can keep out dust, insects and mice. (Paper boxes can be attractive nesting spots for unwanted critters.) I do have special paper boxes for Christmas ornaments in the attic, however. 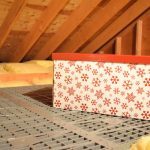 2- Create Storage Areas or Zones – I don’t have much in my attic currently, but as I add more things up there, I plan to create storage areas or zones. That means I’ll place all the decor in one spot, clothing in another, etc. I’ll be sure to place items that we need more frequently closer to the attic access spot. 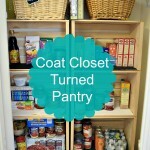 3 – Create a List of What’s Stored in the Attic – It’s handy to have everything labeled in the attic. It’s also useful to have a list of what’s in the attic. That way, you don’t have to go up into the attic to see what’s up there! I have a running list on my iPhone of everything that I’ve stored in the attic. I plan to create a binder on what’s stored in the attic. In that binder, I can add a floor plan, or map, of where everything is in the attic, too. TIP: Keep a list of everything you have stored in the attic. I keep a running list on my iPhone of everything I store in the attic. Like many attics, a pull-down attic ladder is the only way to gain entrance into the space. I find going up and down the ladder to be scary. The ladder makes me nervous because our builder put our attic access spot next to the banister that overlooks the stairway going down to the first floor of our home. I’m always afraid I’ll fall over the banister! It can be difficult to put heavy bins into an attic when you are climbing a small attic ladder. TIP: Don’t try to push heavily loaded storage bins up into the attic. Place your storage bin into the attic first. Then split up the bin’s items into a few clean plastic storage bags. You can then carry what you can manage up into the attic to fill the storage bin. When storing things in my attic, I’ve found a way to make things easier. I first place an empty labeled storage bin in the attic. I then put the items I want to add to that storage bin in easy to lift plastic garbage bags. That way, I don’t have to lift a heavy (full) storage bin into the attic. 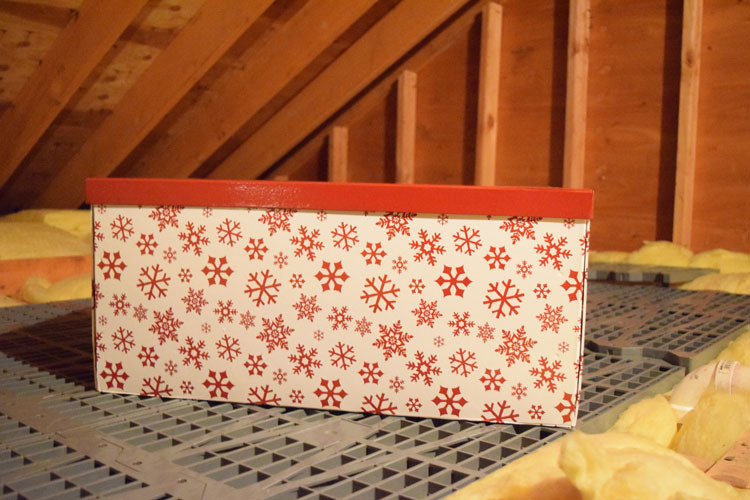 I can load a storage bin bit by bit, and can make sure that I don’t loose my footing on the attic stairs. The plastic bins are an added plus in that they provide another layer of protection for the items in my attic. To join next month’s #pinterestchallenge, click here to sign-up: February Pinterest Challenge. I always wanted to lay down plywood in my attic. This looks like a much better option. I will certainly be checking into it. These ideas are brilliant, especially keeping the list of what’s up there. When we moved 4 years ago the attic was a bit of a nightmare as we’d just bunged all the things up there! We vowed never again and so far so good. 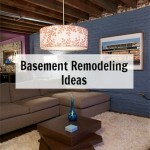 I think some of these ideas may help too. I love those attic dek panels! What a great invention! I’m totally jealous of the attic flooring! Our attic has very uneven plank flooring which I’m sure was nice and tight when the house was built 100 years ago but now it moves quite a bit! I live in an apartment house in Germany and we do have a huge communal attic. This is where I store most of my tools, paint my furniture, and make my woodwork DIYs. I wouldn’t want to miss this space, and I am happy that you made use of your attic now, too. 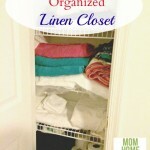 Great tips you are sharing! I’m shamefully chuckling because I am doing so many things wrong when it comes to storage. I’ve been known to store stuff in cardboard boxes and none of our storage containers contain lists (so smart). 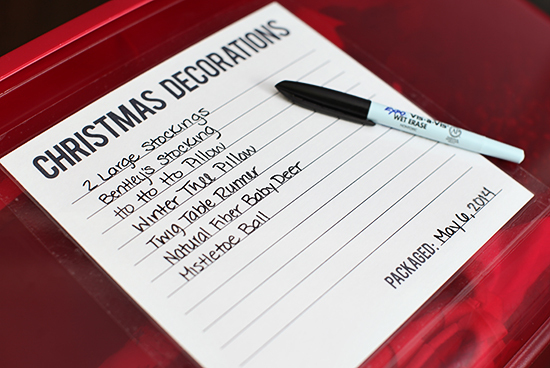 Instead sharpies identify what’s inside until that storage container houses something else. It’s a mess. So many good ideas. One day I hope to tackle this project and do it right. Pinning. Good luck, Kelli! I’m trying to be more organized, but it’s not actually my strength! Good luck with your attic, Erlene!